The Mast and Tower Safety Group is an industry forum for owners and operators of masts and towers in the UK used for broadcast and telecommunications. The MATS Group responded to the HSE consultation on the UK guidance and regulations to implement the EU EMF Directive on the minimum health and safety requirements regarding the exposure of workers to the risks arising from electromagnetic fields. 1. The terminology has changed. Reference levels are now called actions level and the Basic Restriction levels are now called exposure limit values. 2. Have you made your employees aware that they need to tell you if they are classified as a worker at particular risk? e.g. have an implant such as a pace maker or are pregnant. If so you will need to undertake a personal risk assessment. 3. Have you got a process in place and guidance for health surveillance in the event of over exposure? Remember we have the notes to doctors on the MATS website. You can find further information on the HSE website. 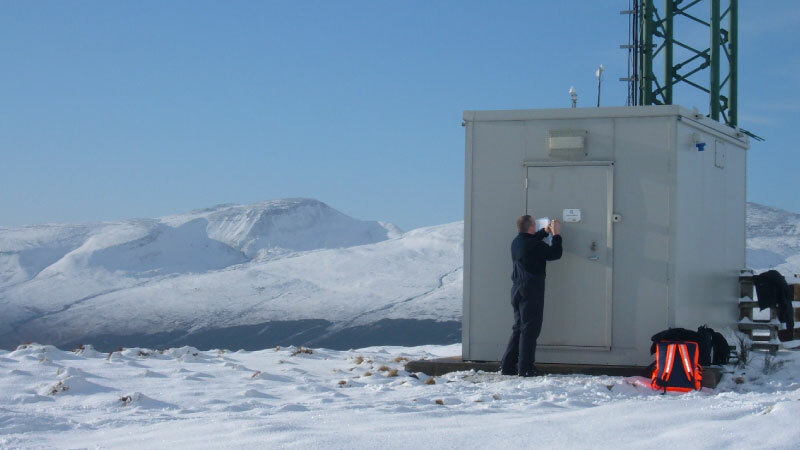 GN014 – Structural Inspections of Masts and Tower which provide guidance on structural inspections for tower and mast owners (transmission and radio). It will describe the principles of inspections and provide general guidance for their completion. It does not detail these in-depth company policies and procedures but provides guidance on the minimum recommended requirements to other companies, which may not have similar regimes in place. It also clarifies areas of ambiguity relating to responsibilities for inspection on sites that are shared with third parties. Arlette Anderson from Vodafone organised an event “Improving Public Safety in Street Works” and is actively involved in the setting up an Industry Forum. How might we work as one industry team to improve public safety when undertaking street work activities? The meeting considered consistency of approach, simplicity for people doing work, cost savings (fixed penalties), best practice sharing (regulated workforce), Highways Authority Utilities Committee provide guidance, can we affect standards & legislation?, common approach, we need more skills than just H&S (NRSWA operatives & supervisors will bring different perspective), regulatory view, HAHC!, understand & meet public expectation, consistent public messaging to raise awareness & understanding, protecting brands, collective view ,more mature H&S systems, Find better ways of doing things, look at technical advances, standard vendor qualification, one process, one “authority”?, shared info (Incidents (RCA etc.) learnings, best practice), SIMPLICITY, trust, co-operation, No harm to public, Technology, no bad publicity, shape standards, right people, including enforcement, Safety “passport”, formal agreements (chapter), reiterate forums (knowledge exchange), reduced time on site, focus will always be safety of the public, regular forums, sponsorship, reduce accidents, shared benefits, regulated, respect, creative, give & take, innovative, trust, shared App, communications. It is important that regular testing is carried out to ensure suppliers can demonstrate standards are maintained at all sites. A challenge faced by all MATS Group members is the testing and auditing of training providers. How confident are members that they are getting value for money? Should members routinely audit the training company? Would members support “suggested minimum” syllabuses for specific course types? · When climbing/working at height you must be attached to a robust purpose-installed or structural anchorage point at all times. · You must attach using a suitable fall-arrest device e.g. lanyard with shock absorber, drop-line system or fixed fall arrest system such as latchway. · Remember a work positioning ‘pole-belt’ is not a fall-arrest device so must only be used in addition to a suitable fall-arrest device. We will look to publish a short guide on the Control of Electromagnetic Fields at Work (CEMFAW) Regulations and its application to the Telecoms and Broadcast Industry.